A career as a lawyer is one of the most sought-after professions and there are indeed many rewards if you pursue one. But working as an attorney has some drawbacks as well. It's not all exciting courtroom drama, news conferences, and grateful clients. Before you start down the long educational road toward becoming a lawyer, ask yourself if you have a tolerance for these disadvantages and how well you'll be able to deal with them. There are also a lot of advantages involved with practicing law and it does offer a certain distinct gratification, but it's not what it was even a decade ago. If you're thinking about law school, take some time to consider all the factors so you can honestly decide if a career as a lawyer is right for you. 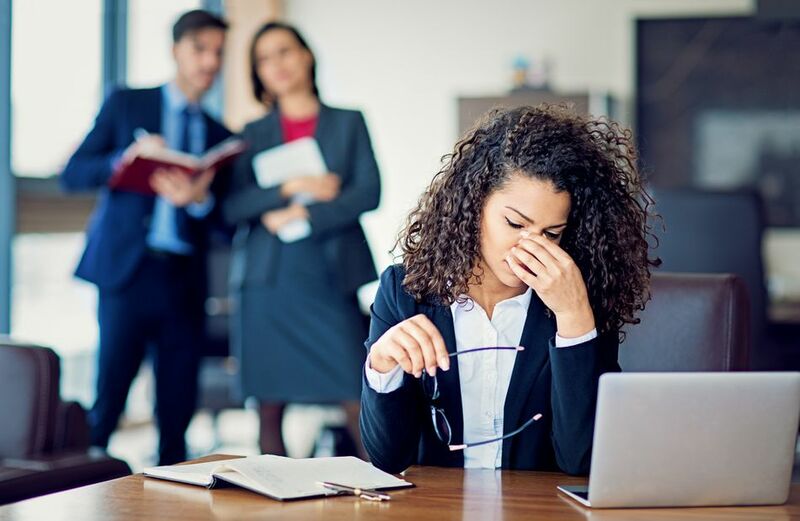 Deadlines, billing pressures, client demands, long hours, changing laws, and other demands all combine to make the practice of law one of the most stressful jobs out there. Throw in rising business pressures, evolving legal technologies, and climbing law school debt and it’s no wonder lawyers are stressed. The stress and demands of practicing law have fueled high levels of career dissatisfaction among members of the bar. Depression and suicide are common among lawyers and 44 percent of those recently surveyed by the American Bar Association said they would not recommend the profession to a young person. Rising workloads and shrinking staffs are translating into more work hours for lawyers than ever before. The demands of global law practice also mean that some lawyers must be available to clients around the clock. Today’s lawyers work longer and harder and 50-plus hour work weeks are not at all uncommon. A competitive environment has forced lawyers to spend more time on client development and business management activities in addition to billing hours. Many lawyers complain of a lack of work-life balance as a result. The cost of a law school education has outpaced inflation in recent years. Tuition at even mediocre law schools can reach well over $40,000 annually. Entering practice with a six-figure law school debt is not uncommon. New grads often don't earn enough to repay their law school debt in today's cutthroat job market. A law degree is no longer considered a ticket to financial security. Today’s lawyers face one of the bleakest job markets in history. Record numbers of jobs have been cut and salaries have plummeted but law schools aren't dialing back on enrollment. Some lawyers have been forced to settle for less-than-ideal employment or to change careers altogether. A steady supply of lawyers coupled with declining demand has caused many legal professionals to rethink the value of their law degrees. Clients have become more conscious of their legal spending. After years of seeing billing hikes that far exceeded inflation, clients began demanding more value for their dollars. This forces lawyers to keep their billing rates reasonable. The market will no longer pay top dollar for expensive lawyers to perform tasks that can be accomplished more cheaply, quickly, and efficiently by technology or by other professionals such as ​paralegals. The practice of law is changing dramatically and lawyers no longer have a monopoly on the field. From legal document technicians to virtual law offices and self-help legal websites, today’s lawyers face competition from a variety of non-lawyer sources. This isn't to say that all these sources are necessarily reputable or that they can deliver the same results that a trained and educated attorney can. But they're out there and they do divert many potential clients away from "real" attorneys. Technology has transformed the practice of law and, like it or not, lawyers must become proficient in a wide range of technology platforms. These range from document review and management tools to spreadsheet, presentation, and billing software. And even as lawyers become more tech-savvy, the market trend toward commoditization threatens to swallow jobs as lawyers are replaced by technology to deliver legal services more cheaply and efficiently. It’s not a trend — the outsourcing of legal work to foreign countries is an economic reality. As more legal work is sent to low-wage workforces overseas or to regional delivery centers onshore, many traditional lawyer jobs are being eroded or displaced altogether. This popular joke underscores the low public perception of lawyers that's still prevalent in today’s society. Although widespread distrust of lawyers has existed since ancient times, rising billing rates, frivolous lawsuits, and sensational news stories of lawyers behaving badly do little to raise the public image of attorneys. You won't be able to pick and choose which clients you take on, at least not if you want to make a living. People who need lawyers don't represent a single, simple demographic. They might be wealthy and sophisticated but arrogant and exacting. They might be homeless and accused of a crime that they did or did not actually commit. You won't like all of them but you'll have to give your best representation to each and every one regardless. How tolerant are you of people you just don't like? Can you put your personal feelings aside to get the job done?